A play with elements of suspense and fantasy which comments on contemporary life, written by Canadian playwright Michel Corbeil and first produced on WBAI's Mind's Eye Theatre. The cast includes Dan Leach, Carole Silon, Marvin Felix Camilo, Stephanie Moss, Jane Sanford and John Tormey. Produced by Charles Lewis, directed by Michel Corbeil. Technical direction by Ed Woodard. 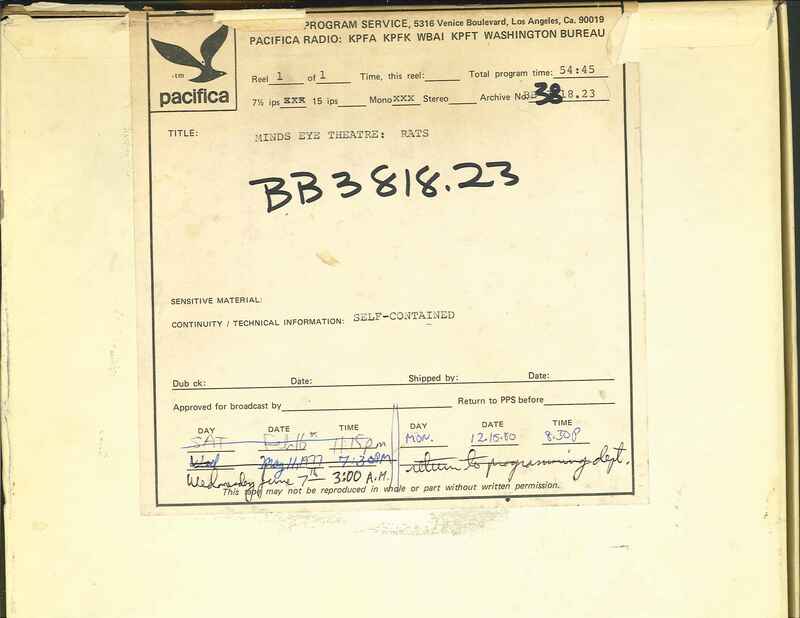 This recording was formerly cataloged as BB3818.23.